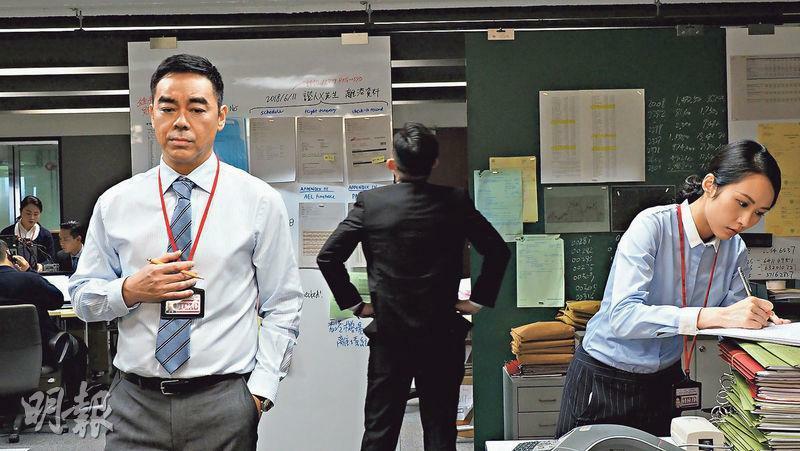 The Lunar New Year film INTEGRITY (LIM JING FUNG WON YIN MOK) opened on February 5th in Hong Kong, from the Lunar New Year's Day to the Lunar 3rd its cumulative box office broke HK$ 10 million as it remained the single day box office champion for all three days. Director Alan Mak Su Fai was very excited to learn the good news, hoping that the good performance would continue and break box office records. Lead Sean Lau Ching Wan said that he and his wife Amy Kwok Oi Ming would go on a movie date to experience the audience's passion in person. One of the leads Nick Cheung Ka Fai thanked the audience for the support and said that the production team deserved a lot of credit. With the film becoming a hit the boss and the director of course would have to take them to dinner. Anita Yuen Wing Yi guest starred in two scenes. She said that she did not dare to claim any credit bu was happy to have been a part of it. She hoped that in the future Hong Kong film would continue to blossom with variety. Cherie Chung Chor Hung went to support Cheung Ka Fai right away and praised how good the movie was. She said that the cast performed well and the supporting players were just as outstanding.